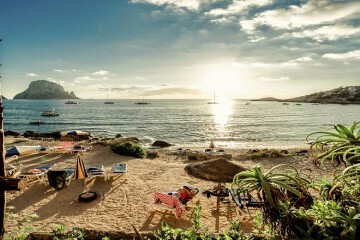 There’s no denying we Brits crave a little warmth and sunshine. After all, English weather is known for its unpredictability at the best times (it’s either raining for weeks or life as we know it comes to a halt during the mid-summer heatwave, there’s no happy medium). So when it’s time for our holidays, we squeal with delight at the thought of sunny days, sweet cocktails and infinite pool time. Our villas in France offer the above and then some; they come alight with character and charm. And as for our guests, well, they leave happier, refreshed and with more pep in their step. 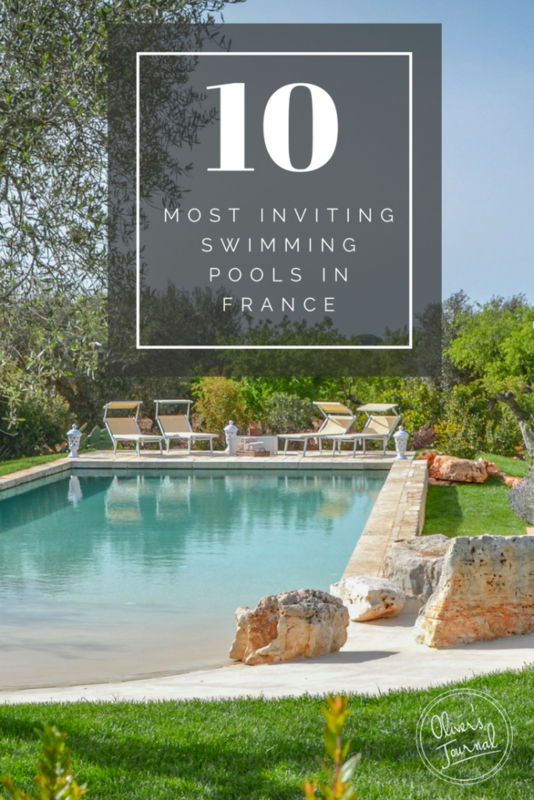 So without further ado, we wanted to show off our favourite villas in France with gorgeous swimming pools. Lilos at the ready and swimsuits on, all that’s left is to enjoy Villa Amalie’s glorious swimming pool. Whether that’s drinking a few glasses of rosé by the loungers or basking in the water until your fingers turn wrinkly, the choice is yours. And when undecided, do both! Thankfully, this villa is incredibly versatile, so once you’ve had fun in the sun, you can explore the delicious interior bursting with dramatic curtains and chandeliers. Deserving of every hyperbole in the English language, Chateau Poesie is truly and simply magnificent. Recently restored, this farmhouse cottage now boasts both modern and traditional Provencal features. But despite its obvious grandeur, guests can move freely and still feel right at home. The outside surroundings are a treat, especially once you set your sights on that oozingly blue pool. Morning laps are the ultimate morning release but once the heat becomes too much to bear you can retreat under the shade. They say a picture is worth a thousand words and although we don’t need to justify Chateau De La Victories beauty, we really want too. Elegance and class trickle at every turn but ultimately your heart will lie with the downstairs pool area. 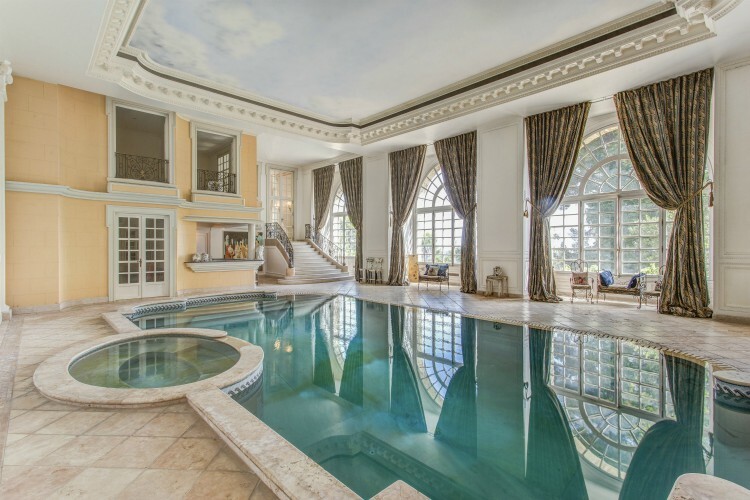 Reminiscent of a Roman spa, the heated pool proudly takes centre stage. And this timeless luxury has no end – also offering a jacuzzi, sauna, massage room and a bar area. Prepare to flick the switch to the outside world. The Millhouse’s 5-star accommodation and country charm is the perfect way to unwind from those pesky everyday stresses. 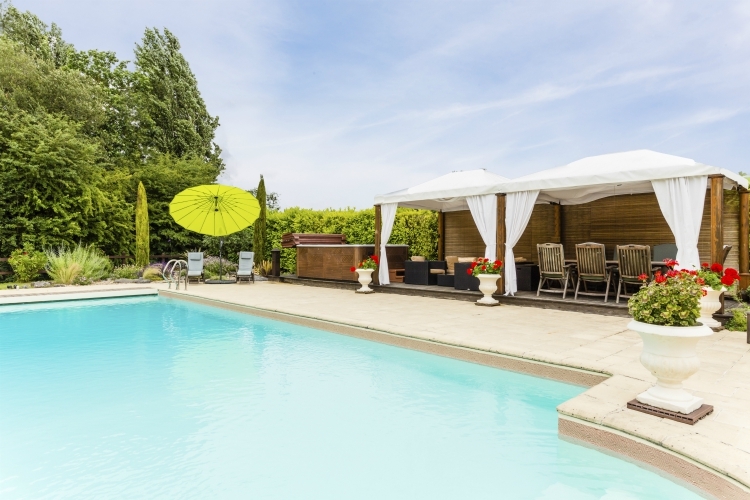 Your first stop is the extensive outside grounds, with a heated salt-water pool, children play area and barbecue. The hours will whizz by, but your smile won’t fade. And if you’re anything like us, and you love a good soak, then make the most of the jacuzzi and iPod dock station at your disposal. With extensive fields and a fishing lake surrounding this historical home, you’ll feel grateful to have this kingdom all to yourself. 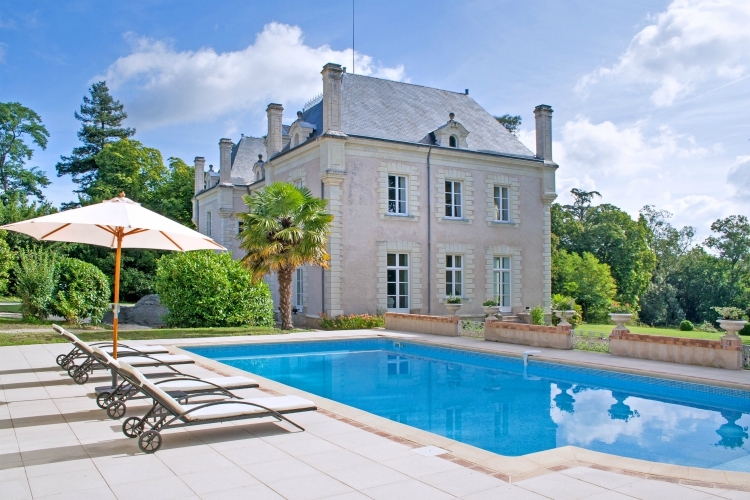 And families can breathe a sigh of relief, the salt-water pool at Chateau Romenay is private, heated and child-safe! So, while the little ones play an intense game of ‘shark’, you can indulge in the wellness area, decked with a steam room and massage area. 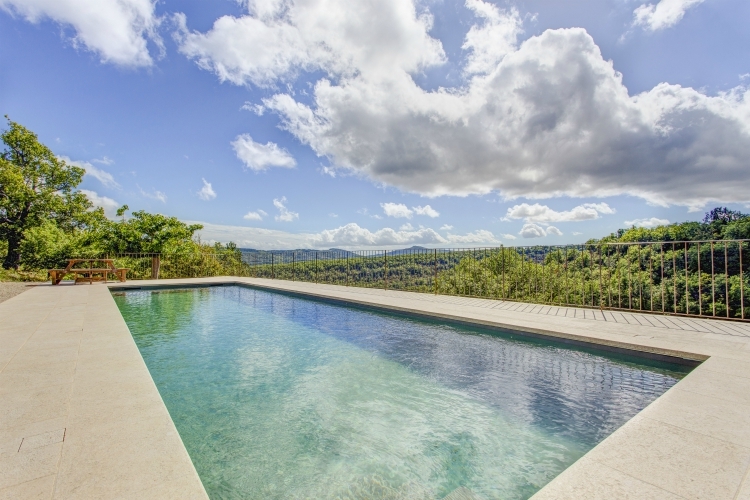 One of the first things we look for in a villa is the quality of the swimming pool. Honestly, it’s a deal breaker. Not only does it need to be easy on the eye, but it needs to cater for the whole family. Thankfully, Chateau Anais won’t disappoint. Breakfast on the patio, picturesque views and the perfect spot to catch picture-perfect sunsets – guests that stay here, treasure these memories for years to come. There are countless reasons why we adore Maison Sebastien. Firstly, the rustic decor makes you feel right at home and the overall inviting ambience makes this the go-to chateau to relax. And then there are the hilltop views. The oak forest and lush landscapes can’t be ignored – poolside, or up above the terraces, you can soak up the 360-degree views all day, every day. In the evening, enjoy succulent feasts prepared by a local chef. And once you’re full to the brim head on over to catch a film at your on-site cinema room – bliss! 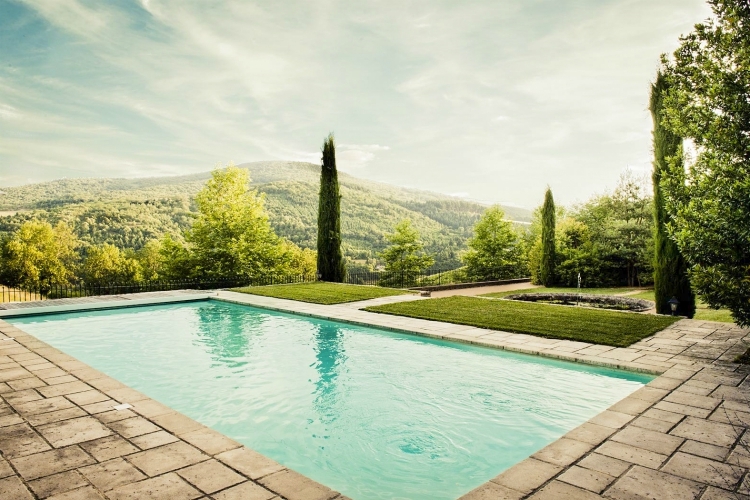 If you’re on the hunt for a swimming pool with otherworldly views – look no further than Chateau Beaujeu. The outdoor space is a little magical haven; besides the pool, it also includes 2 secured terraces for your privacy. But, our guests love nothing more than enjoying a 20-minute morning yoga session behind this stellar backdrop – and who could blame them. 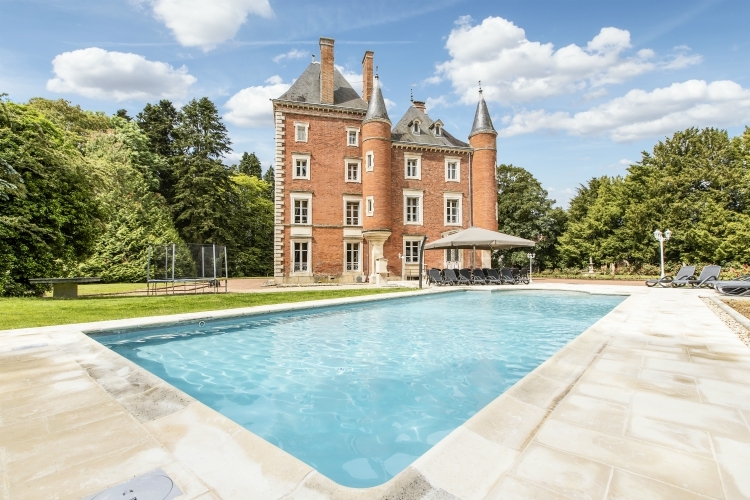 We highly recommend this chateau for groups of families travelling together, because although spacious, the home is still intimate enough to make plenty of memories together. The height of luxury, Villa Occitane is just scrumptious. The idyllic beachfront location is the stuff of dreams and paired with the modern interior – it can’t be faulted. You’ll no doubt spend the majority of your time overlooking the manicured gardens and unwinding by the outdoor infinity pool. And whether you’re cosying up on a lounger or cooking up a storm on the barbie, there’s something to please everyone. 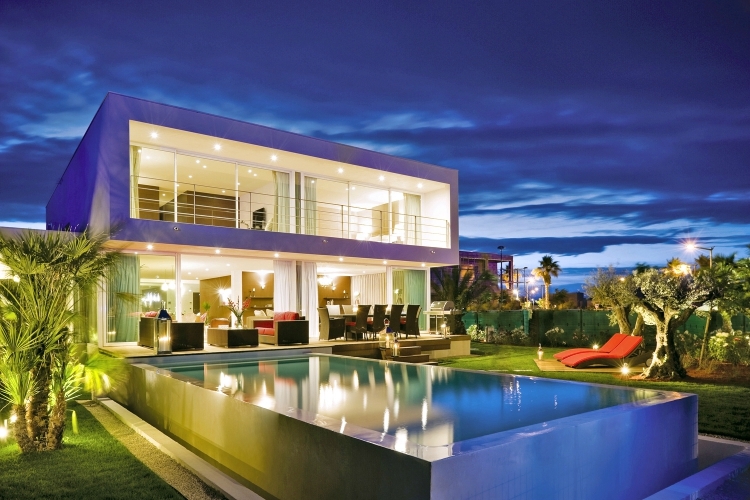 A triple threat, Villa Sol offers luxury, beauty and a pinnacle location! 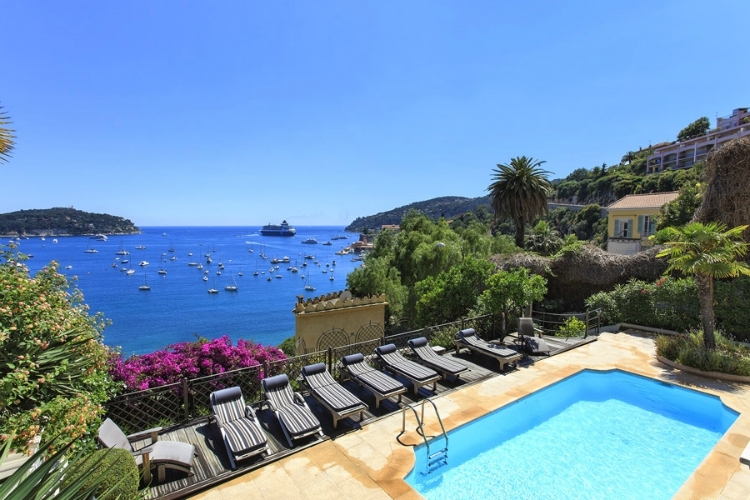 Overlooking the bay of Villefranche-sur-Mer, you’ll need to be armed with your camera to capture this stunning backdrop. And best of all, your furry friends are warmly welcome! While Fido squeals at the gorgeous lawned garden, you can lie out on the poolside terrace to feel the sun’s caress. If that isnt the best of both worlds, I don’t know what is! 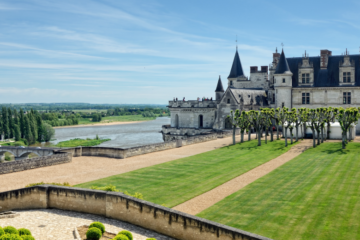 France is a mesmerising gem, but where will you first begin your adventure? 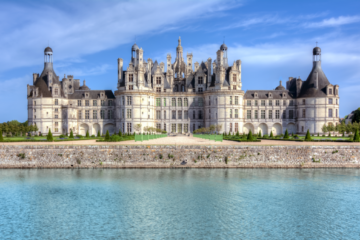 Well, take a look at our fabulous travel guide, covering everything you’ll ever need to know about France. And if you’re looking for more, we’ve also picked our favourite towns and villages scattered all across the country. 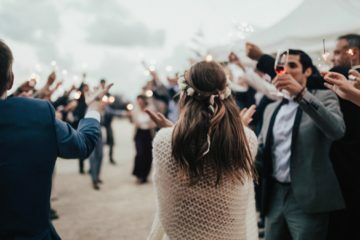 The Mile Low Club: Oliver’s Travels Announces Its Most Exclusive Property Yet!